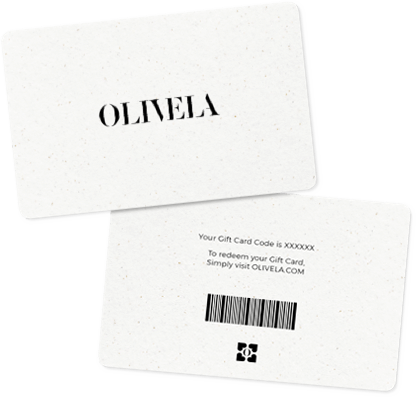 When you give an Olivela Gift Card, you don’t just give something they’ll love from the world’s leading luxury brands. 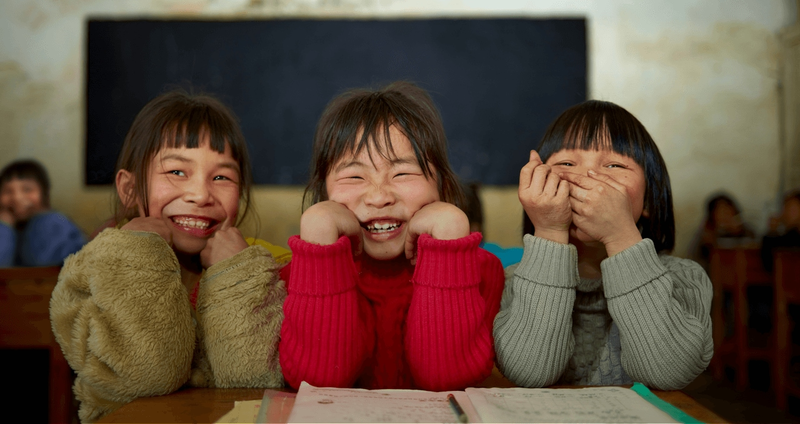 You also give the chance to improve the lives of children around the world. A beautiful card shipped in luxury packaging with a personal message. A special gift for a special occasion. 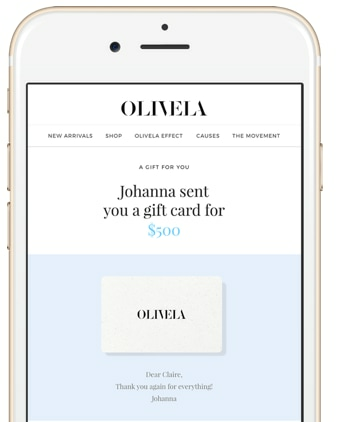 Ready for instant delivery, the eGift Card is sent with a personal message right to the recipient's inbox.